You’ve reached the limit! Use 27 characters or less. Includes a beautiful Jewelry Box for safe keeping and/or presentation as a Gift! The Perfect Gift for Christmas, Birthday, Anniversary, Wedding, Engagement, or Valentine's Day. An Amazing brand new ring I've just released. Only the first 3 sold will get the discount offered here at this price so don't wait, the price will never be lower. 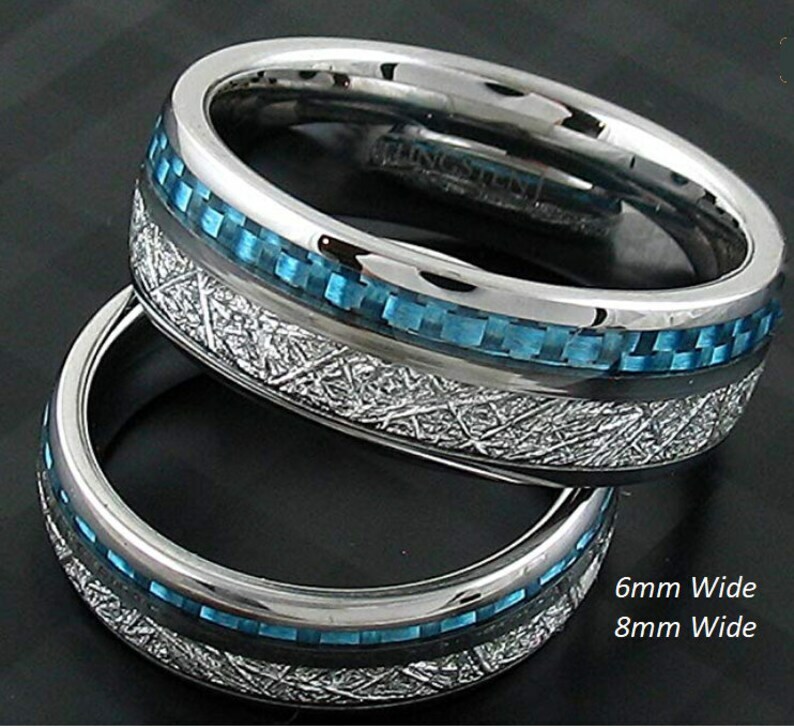 A comfort fit Polished to a natural Silver Tungsten Band with a beautiful dual combination of Meteorite Style and Blue Carbon Fiber inlay.